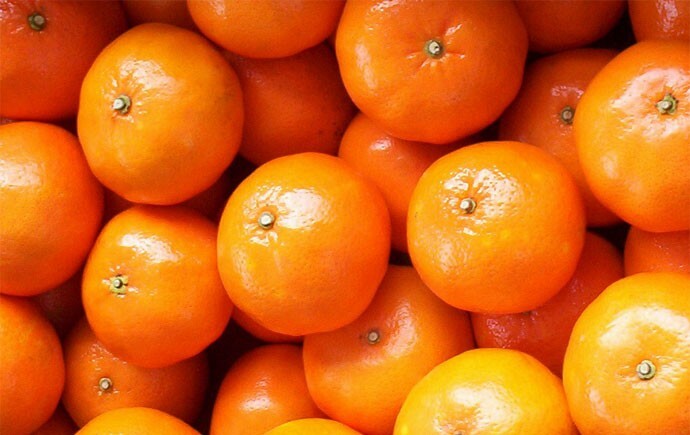 Coming from the mandarin, tree that belongs to the family of the Rutáceas, it is considered like the fruit that more resembles the orange by its physical appearance and citrus characteristics, but it is of smaller size and of thinner skin, which makes easier its withdrawal and consumption. 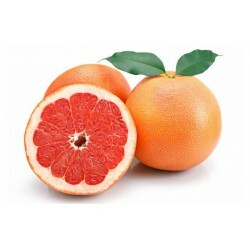 It is characterized by being juicy and sweet flavor, although with a slight acidity, depending on its maturation. It is a tropical fruit, from the areas of Asia and known worldwide, among some of the countries that cultivate can mention: China, Spain, Mexico, Colombia, Morocco, Venezuela, Ecuador and Israel, among others with optimal climatic conditions for production. Given that Spain is among the main countries of cultivation, in Naranjass.com, we can offer you the freshest with distribution throughout the national territory. 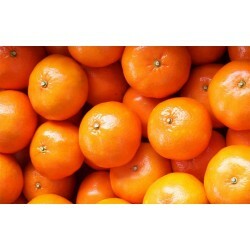 Given that Spain is among the main growing countries, in Naranjass.com, we can offer you the freshest with distribution throughout the country. Round shape and flattened at the base. Bark is smooth, orange, and very easy to detach, you can even make your hands. 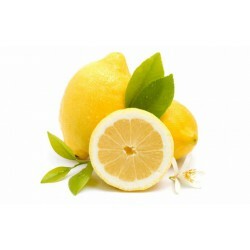 Contains vitamin C, flavonoids and essential oils. It measures between 4-7 centimetres in length and has a diameter of about 5-8 centimetres. They are classified in four groups, according to the type of tree where they are produced. 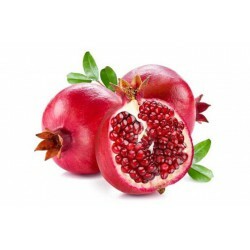 Its main vitamin is C and also has others such as A, B1, B2 and B6 in smaller amounts. It has minerals such as calcium, iron, zinc, phosphorus, potassium and magnesium. Presence of beta-carotene and citric acids. Rich in vitamins. Despite being one of the citrus with the lowest amount of vitamin C, provides high doses of other vitamins such as: A, B1, B2, B3 and B6. It controls cholesterol levels. Contains fibers such as hemicellulose and pectin that act as blood cleansers and prevent the intestine from absorbing negative cholesterol. Helps weight loss. Thanks to its high fiber content, the stomach will feel fuller for longer, reducing anxiety. It improves the skin. 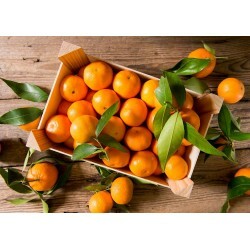 Vitamins C and E, make the skin regenerate giving it a more youthful and shiny appearance. Uses of the shell. The shell contains oils used for the elaboration of products such as creams, perfumes, essences, among others. Diminishes the problems to urinate. Strengthens red and white blood cells. It has a calming and relaxing effect. Nutritional value per 100 grams. Being a very popular fruit, harvested in Spain and with many forms of consumption, is full of vitamins and nutrients for the body. Want to include it in your daily diet and take advantage of all its benefits? 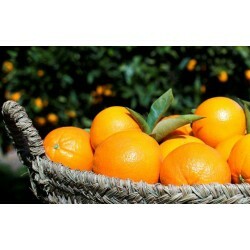 Thinking about your comfort, in Naranjass.com we give you the possibility to take to your table the freshest tangerines of the market. We offer our services quickly, easily and safely, through which you can place an order online, of any quantity to different parts of Spain, in the comfort of your home or office. Place your order and enjoy their incredible properties!